The players head to an ancient, recently-abandoned ruins after hearing that a ghost haunts the deeper caverns and has driven all of the archeologists away. They meet the NPC Grayson, who is an experienced and excited young man who seeks out treasure and mysteries, and work together to get inside the ruins. 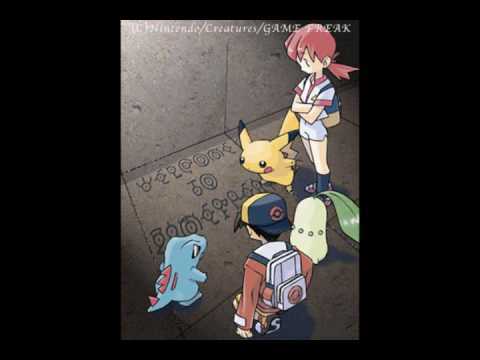 Trouble finds the group as they begin to realize the full dangers in the trapped home of an ancient Pokemon. The layout and overall theme of the Gypsum Ruins can be anything the GM desires. This can be based on mayan or egyptian architecture. Set in the desert, the forest, even underwater or in a cave. The choice is up to the GM, as is the layout. Below we will assume that the structure is a square with inner and outer rings of chambers. Though we won't introduce or use unown other than the shape of letters during this event, it is a very opportunistic time to do so if the GM wants. The team enters a town to hear the news about the Gypsum Ruins being discovered. The ruins can exist anywhere for convenience. Access to the ruins should be remote and a little hard to get to, but a large enough public event that people are flocking there to see what can be discovered. The group can get their on their own or take a bus offering a ride for a fee. After arriving at the ruins, it will be learned that they have been shut down because of traps and missing archeologists. Members of the excavation team have gone missing and others have been seriously injured. Police are now preventing entry to the ruins. The group will meet Grayson, an Archeologist and Treasure Hunter who has traveled around the world. Grayson has met dead ends at every turn trying to get in the Gypsum Ruins as the site is locked off by officials and all of the archeologists and dig teams won't give him any information. The group finds him attempting to win them over to help him get in the ruins. He'll tell them almost anything they want to hear after he sees them battle or possess the right gym badges. Grayson: I bet you folks could help find those lost surveyors. They have to be down there, scared and alone. You've got, what? A bunch of Gym Badges. We should definitely get in there and help them. What do you say? Grayson: Not only will we be heroes, but I bet there's a bunch of treasure. We'll definitely make out well going in there. Fortune, fame, and doing the right thing. We should do it. Getting inside the ruins requires stealth or diplomacy. Or a connection with Mr. E or a Professor that gets them get past the guards stationed outside the entrance. Activating this could cost the group something, if appropriate, like a promise or extra task from said connection. Grayson will always suggest sneaking and subterfuge. He doesn't play by the rules and will recommend sneaking in, looking for hidden passages, and stealing information from the archeologists. The stealth check past the guards, without outside circumstances, is a DC 25 stealth check. Distractions or going in at night will provide appropriate bonuses (up to +5), however, the area is lit quite well at night to prevent this. The group may need to use an ability to scare, disable, or take out the guards. Doing so will alert people that they've entered the ruins, though, after some time based on circumstances. Grayson: Listen, I'm all about following rules. But these people have put up so much red tape that it's going to be impossible to get inside and help those people down there. We have to do it or no one will. Gaining entry into the Ruins through pure diplomacy will require the group to talk to the lead of Dig Team No. 3, who made it the furthest into the ruins and have the most people injured and missing; and the police guarding the ruins. They will have to show that they are competent and prepared for the challenge. If anyone knowingly knows that Grayson is helping them, who's reputation as a Treasure Hunter proceeds him, it should add a +5 to the DC. All negotiations will start out with 'unfavorable' toward the character's cause, because of the danger present. Having a contact speak for the group can get the team in or give them a bonus to the check to get inside. Acquiring the maps of the camped archeologists will require the group to sneak into the right tents, find them, and get them out without anyone knowing. (DCs can range from DC 20 to 30 and go up depending on how many they acquire in this way.) Or, if they acquire permission from an outside source, they can try to win them from one of the dig teams. There are Three (3) dig teams, each with different information. Getting them to give up their secrets will require three separate diplomacy checks with each dig teams leader. DC 15, 20, and 25. Promising favors can give the team a +5 to the check or a skip it all together, but could make it harder to procure information from the others. Each team can provide as much or as little as the GM sees fit to provide, based on how difficult it is to procure the information from them. One group may provide basic information about the ruins that don't help them get inside the ruins at all, while another might outline the entire layout of one of the challenge chambers so the group can prepare before they get there. However they get in, the group will discover the outer rooms of the ruins to be all simple and dusty, with strange hieroglyphics on the walls. The unown writing can be discerned in some areas, but is mostly accounts of history and lineage from ancient times. A lot of it is also damaged or worn away from time and the elements. The rooms range in size and span the base of the square ruins. It becomes obvious that there are inner chambers, but all but one door is closed, which is where the previous teams had entered. Inside the first and second inner chambers are a series of puzzles for the players to figure out. Any setting and Power Limit appropriate puzzle is fine. In real life, this could be an actual puzzle the players have to put together. On the play by posts boards it could be a riddle or power check of an appropriate skill. Example: Lighting the correct set of lamps in the right order. Depending on your layout, the teams will work their way closer to the 'inner most chamber' with each puzzle. I would limit this to two puzzles at maximum. Clues can be given in the form of information written down and acquired from the dig teams appropriate to the team's success at gaining this information. After the harmless puzzles come the traps. Dangerous hazards that sent the previous explorers packing back to the base. Arrows, pit falls, poisonous gasses or other environmental hazard that require a skill check or power to avoid, get through, or prevent. These should be chosen to highlight both strengths and weaknesses of the player's pokemon. I recommend no more than three major challenges before reaching the second to last room. GM: Despite Grayson's promises, the team has not seen a single pokemon inside the ruins. As they enter this next room they find their first sighting of a stone statue in the shape of a Slowking. It is a stern looking piece of craftsmanship with harsh angles and sharp points in the sculpture. At the center of it's crown is a bright gem that flashes when the group's lights hit it. Grayson looks at it hungrily. GM: Filling the rest of the room are many more statues. But instead of Pokemon, these are simple human shapes with much less detail than the Slowking at the center. Each statue looks like a mummy, wrapped in bandages, and wearing a golden mask. Other masks, each unique, are set in the walls and design of the room and again in the upright sarcophagus's along the walls. Grayson: Look at all this gold and these gems. This is amazing! We're going to make a fortune! Grayson will attempt to retrieve the gem from the Slowking statue while the rest of the group investigates. If he is successful, the masks will attack him full out and attempt to possess him and his Pokemon. If they are successful, they will gain him and his pokemon against the others. As the players interfere, the statues around the room will come to life and try to stop them as well. At some point, the group should discover that the statues around the room aren't actually statues, but rather the possessed and tightly wrapped archeologists. The Yamask will attempt to capture every last human and disabling any Pokemon that get in the way. They will be bound and wrapped with bandages and sucked into the sarcophagi along the walls. IF this is the last stage of this event, the players should battle it out and need to defeat all the Yamask to win. The ghost pokemon are catchable and can join the party if done so. Under the Hood: Feel free to have fun and make this part really spooky, depending on your group's actions and level of interest with ghosts. They haven't spotted the other diggers, but this is the only place they could be. Let players feel like the masks are looking at them, following them around the room. Yamask: Due to being a human long ago, it has memories of being a human. If someone wears the mask Yamask carries, they will become possessed by the Yamask in question. Sometimes, it looks at this mask and cries, apparently in longing. Yamask is known to wander the ruins of ancient civilizations. The players have found themselves in the inner chambers of the Gypsum Ruins and have been attacked by masked, ghost pokemon. As they ward off mummified victims and the Yamask themselves, they descend deeper to face the master of this ancient tomb. After the Event: Gypsum Ruins, this additional level can be added on as a boss battle. Within the first set of events, the team has met Grayson, discovered the mummy-wrapped explorers, and awakened the Yamask. This will resolve all possible endings from that event and end with a battle and possible new team member, Bronzong. If the final boss battle with Cofagrigus is desired, it should also be told in the original description of the ruins, during Gypsum Ruins, that a giant steel bell resides on top of the ancient ruins. The group may investigate this, or have it pointed out to them in passing by one of the dig teams, but it should be left in mystery unless they pursue information on it in the beginning. If the group retreats from the Yamask and reports some of their numbers have gone missing, the archeologists can reveal what they've found out about the bell. The team will have to climb the outside of the ruins and awaken the Steel Guardian. Waking up Bronzong can require a 'chosen one', a battle, or simply ringing it with a striking device a certain number of time. Using elements or psychic connection and diplomacy check or even warning that something below is awakening and they need it's help. Whatever the GM chooses, it should feel important for their group, but not take up so much time that it draws attention away from the coming battle with Cofagrigus. Bronzong may be captured or join the team temporarily depending on GM preference. Previously, the team was GM fiated into retreat after one or more of their friends were captured, including Timothy Thorn and/or Grayson. When they return, they will find the mummies and Yamask have disappeared, but the Slowking Statue remains. In order to reach the last chamber, the group must move the statue of the Slowking. It is a DC 25 notice check to realize that the floor is grooved so it can move. It weighs 600lbs and requires that much combined strength to move it. Once open, the team has access to a stairwell down to the inner most chamber of the ruins. GM: As the Slowking Statue rumbles out of the way, the group sees a stairwell descending further into the ruins. Below, only darkness can be seen. GM: You descend into the chamber and flash your lights around. The room is extremely dark until you touch the floor of the room. At once, an orb of flame forms above a golden sarcophagus and eerily circles the room, lighting lanterns as it goes. With the new light, you can see the ornately decorated coffin of a long forgotten king far away down the rectangle room. GM: You wake up to find course bandages wrapping you from head to toe. On your face is a mask, a golden one like you saw before. From this limited perspective, you can through the small eye holes very little but a faint glow of firelight somewhere in the room. Shadows dance on the walls and across the shapes of several other bodies. Whether they are your comrades or the previous victims, you can't tell. At this point the players will get to attempt to free themselves, their Pokemon, or try something else if they want. This part of the event is short and skippable, but something for the sad player that got captured. The valuable information is easily told through Grayson or Timothy after the other players arrive to save them or even the other victims. After attempting to get free, they will get a second flood of memories. GM: A second wave of memories hits you as you [struggle with/escape from/loosen] your restraints. A group of monks have gathered with several gong Pokemon. GM: The monks, along with these metal Pokemon, surround the evil king and try to stop him. They drive him back and capture him in a prison, but his power flows out of it and batters back. Then, another monk appears and uses his Pokemon, a Bronzong, to render the king powerless and seal him in his coffin. If the player escapes, they can retreat back to the outside and deliver this information to the others. Otherwise, it can be shared when the group returns with Bronzong later. The group will have a chance to reunite, share information, and discuss a plan before Cofagrigus appears to fight them. Once the battle begins, he will seal their exit and try to devour them until he is defeated. Cofagrigus: Bring me my sacrifices! I am HUNGRY! Fighting Cofagrigus should exhaust the teams resources as it is a final boss battle. It is uncapturable unless otherwise desired by the GM. Cofagrigus should be able to grab things with it's long reaching arms, attack with fire and dark type moves, and even try to attack trainers directly. Until Bronzong is used, which probably won't be long, the mummies will attempt to grab the trainers as well. They can be freed by removing their masks, after Bronzong uses Imprison on Cofagrigus successfully. When Bronzong arrives on scene, a successful use of Imprison will also weaken the Cofagrigus down to PL 6 and then PL 5 on a second use, but not further. The battle ensues between player Pokemon and the ghost until it is defeated and sent back into it's tomb. After, destroying the tomb will destroy it forever, allowing Bronzong to leave the temple and archeologists to dig safely. Glacier Glades is a forested town on the edge of the Glaciuary Region. Large glaciers occupy the bay area and keep the water icy cold even in summer. During most months of the year, the water there is full of ice debris and make it hard for boats to navigate. The town is known for it's beautiful and large cemetery. The Glades Cemetery is the final resting place for many trainers and their Pokemon. This cemetery is one of the largest in the entire region and is as much a piece of art as it is sacred ground. There is actually a waiting list on burial in the Glades Cemetery and requirement when it comes to grave markers. The leader of this city's gym is Jesse, who competes with trainers for the Shadow Badge using Dark-Type Pokemon. Her gym is in the Glades Cemetery and part of her job is taking care of the grounds. The battle will take place in a dark room where shadows reign supreme and low-lighting will be a challenge for any challenger.